“Without deviation from the norm, progress is not possible,” once said Frank Vincent Zappa, a distinctive composer, electric guitar player and band leader. From the first Rock Bands of 1950s to modern Pop all over London’s famous clubs and bars, every genre found a hip designated place. But if art continued following norms, it wouldn’t be an inspiration for the queer minded. Streets of London are witness to the beautiful breakdown of a norm. Yes, we are talking about the busking scene. Buskers are musicians, singers, composers and writers who bring their talent out of a hugely commercial world, and onto the streets. It’s sometimes surprising to see how they draw an enthusiastic audience within moments on a busy Monday evening. 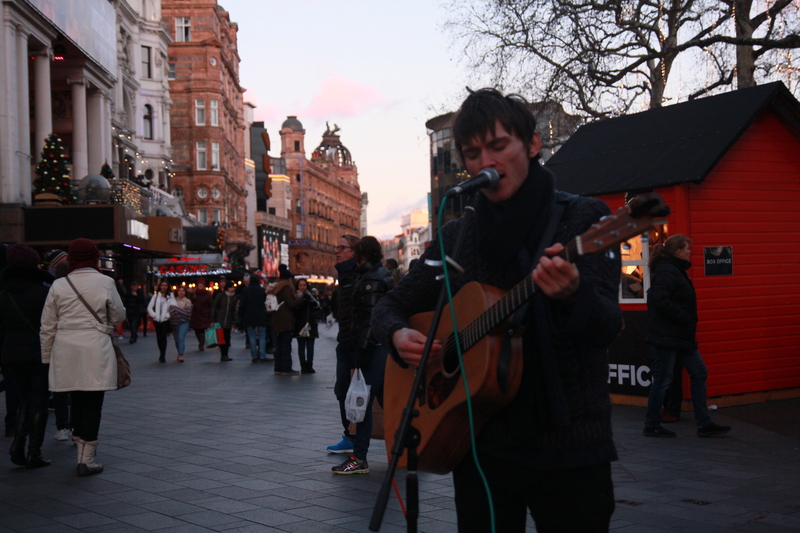 Jack is one such busker who performs at Picadilly Circus and was spotted on a cold weekday evening, singing covers of famous songs. He had drawn an audience of mellow dancers, carefree singers and of course the hard-core romantics. 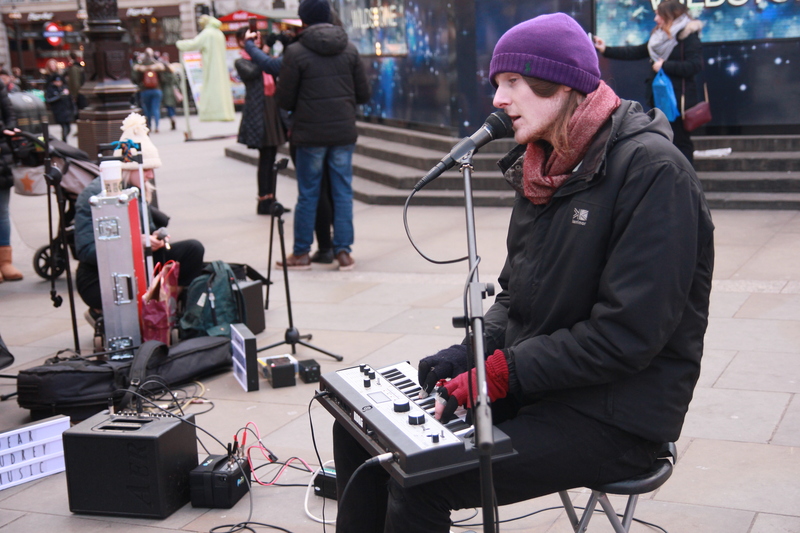 Jack played at Leicester Square for the last time before taking a break from busking, to get more in touch with music on a personal level. He will also be working with a friend on a music project. The Busking Project is an initiative to help buskers and, Nick Broad, the co-founder says: “We’re addressing the problems buskers are facing, because busking is an art form that everyone can enjoy, and not just those who can afford tickets.” He also adds: “We’re doing it because every person making a living through busking is another person who isn’t picking up unemployment benefits.” Nick is not a busker himself, but feels passionate about networking with them and helping the busking scene not just in London. 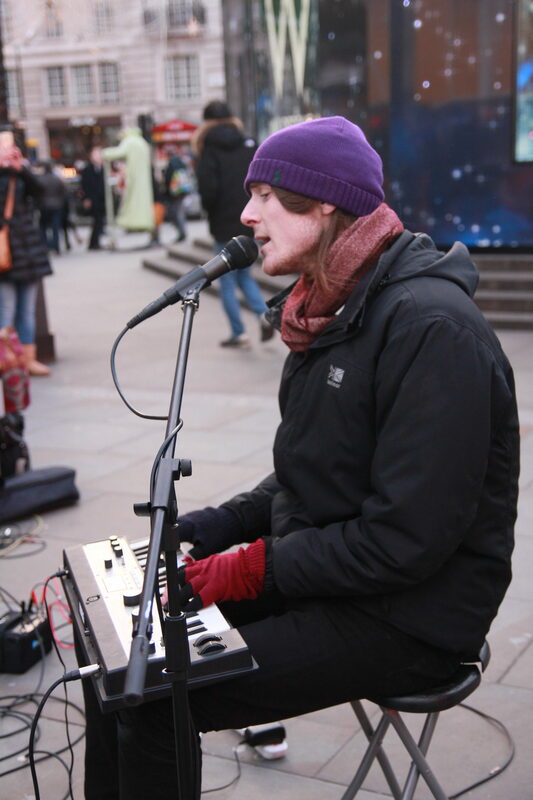 Piers Dashfield is another young busker from London, who makes people follow the sound of music and reach where he sings on the busy crossroads of Picadilly Circus, once again. The spectrum of buskers in London does not only consist of the young and the hobbyists. The underground tube stations are filled with old, sometimes homeless, musicians – the echoes of whose music can be felt more than heard. Passers-by pass by, and some offer some pounds.